How much ya bench? Probably less than this Marine. You are at:Home»Marine Corps»How much ya bench? Probably less than this Marine. Cpl. Jonathon Bailey recently bench-pressed 402.2 pounds to set the Arizona record for his age and weight class. 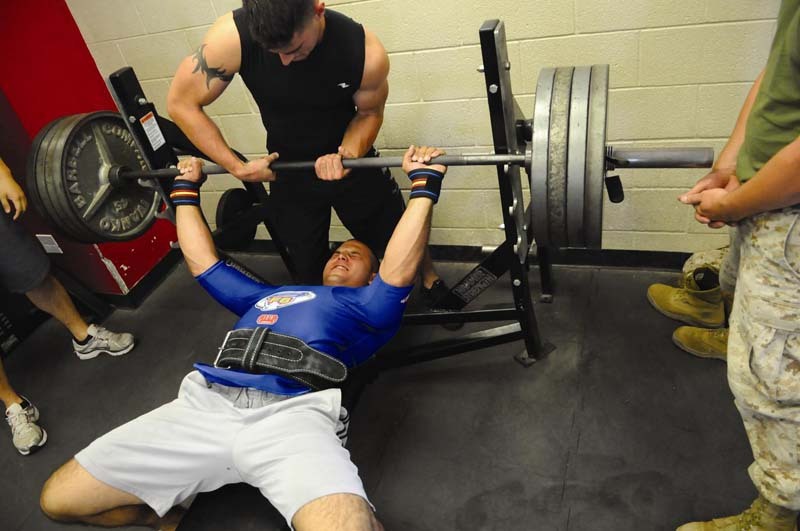 Now the the 21-year-old Afghanistan war vet has his eye on breaking the world record of 507 pounds this November at the World Association of Benchers and Deadlifters’ World Bench Press and Dead Lift Championship. Bailey, 21, is pretty confident he’ll get there. Sixty pounds in four months? Bailey should write a book on lifting if he pulls that off. Read more about his quest on Marine Corps Times. The article does not say which weight class he is lifting in? I come from Denmark and we have many strong powerlifters – but if he is below 200 pounds, he is by far stronger than any danish junior lifter. Very impressive!